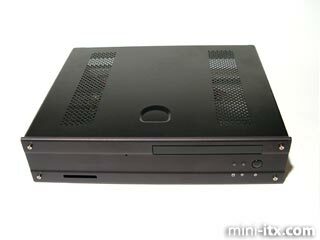 Casetronic, based in Fremont, California with close links to Taiwan, design and manufacture electronic enclosures and passive electronic components, and supply various PC cases. 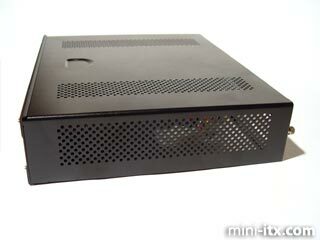 Travla is a new brand created by Casetronic to supply a range of quality Mini-ITX enclosures to the market. The Travla C137 is a classic pizza box format case, with a solid industrial styling. Construction is of aluminium and cold rolled steel, with an aluminium front held on by 4 small hex headed screws. There is a slot for a compact flash reader to sit behind on the front left, and a single power button on the right - next to LEDs for hard disk activity, and power. More than adequate venting is provided, on both sides and in two rows along the top of the case. This will come in handy if the C137 is used with a compatible P4 motherboard. 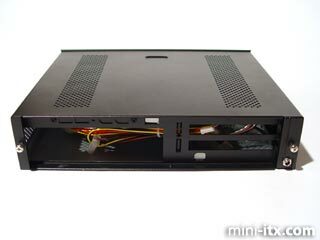 At the rear of the case there is a cut out for an I/O panel, a removable panel above that for additional firewire and USB sockets (as provided with the EPIA M motherboards) and 2 PCI slots - this is the only mainstream Mini-ITX case to date supporting VIA's 2 Slot PCI Riser card. The top of the case is held on by two easily removed thumbscrews. 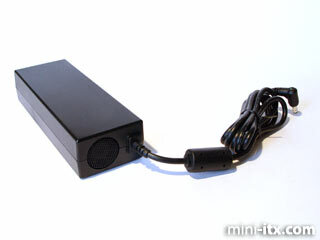 A socket attached to the back of the case takes 19V DC from the supplied universal PSU. This is fed into a DC-DC converter at the front of the case, which turns this into the various 3.3V, 5V and 12V supplies that the motherboard needs. 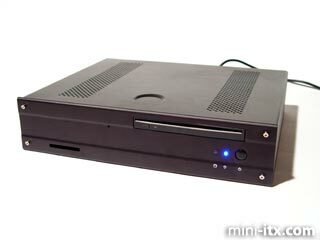 Being 19V, you won't see this case used as the basis of many vehicle-based PCs. 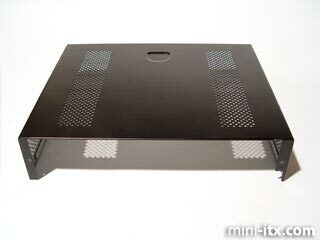 The PSU is available in 90W and 120W versions. It has a small cooling fan (you can see the grille on the end of the power "brick"). In use this isn't very noticable. The top of the plug has an LED attached to indicate power, which is quite snazzy. Don't put it in the bath when the green light is on.